To be more attractive and distinctive, there will be no place than "Market". 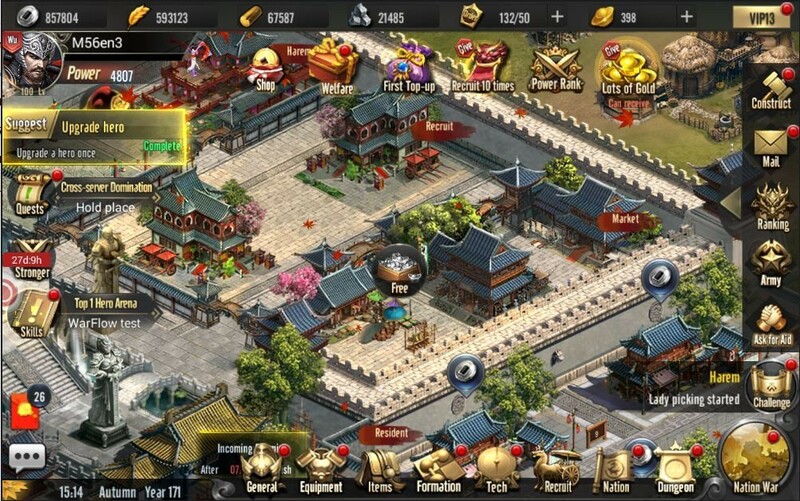 In here, lords can buy silver, wood, iron and food to upgrade. Step 1: Click “Market” in the main castle. Step 2: Select the resources that you need. After selecting the materials to buy, players proceed by selecting "Free". Each day, players will have 2 free buy times a day and refresh daily for free at 5:00. 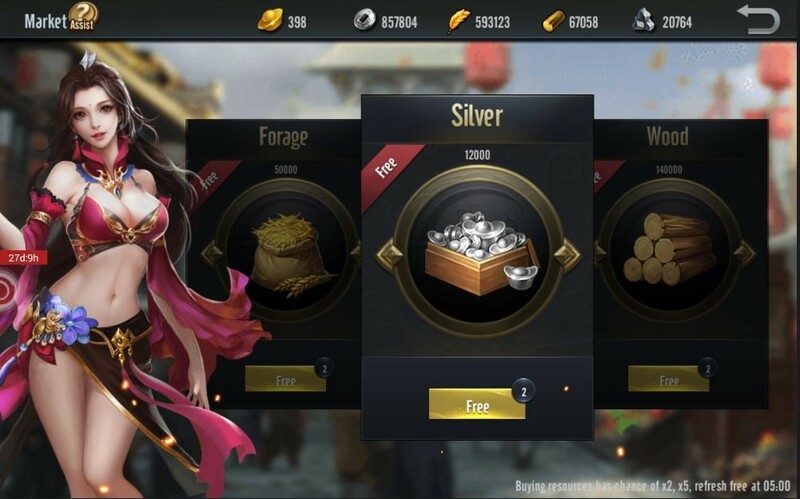 Note: The more times you buy, the more gold you spend.